Apple admits that they slow down older iPhones. We knew that already, but why they do that? 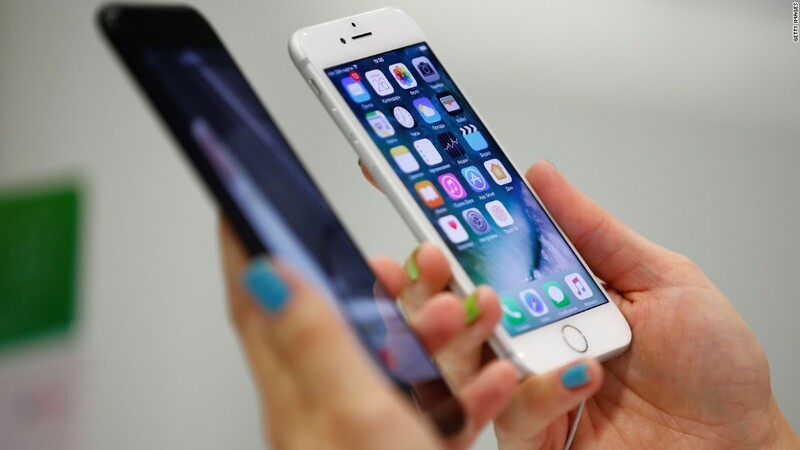 Share the post "Apple admits that they slow down older iPhones. We knew that already, but why they do that?" For a long time Apple customers suspected that the company slowed down older devices to force consumers to upgrade. There was this theory going around that Apple is doing it on purpose and that they are engaged in a scheme of “planned obsolescence “ and partially they admitted to it. They say that starting from last year they started the process of slowing down older iPhones that had lower capacity batteries to avoid the problem with unexpected shut downs of the devices. Apple phones are equipped in lithium ion batteries that with age no longer can handle and process demands at the same capacity and it causes the phones to shut down. They released an update to fix the shut downs but as a consequence it makes the system slower. How this even happened that Apple released a statement about the problem? Last week on Reddit appeared a post saying that the cause of the popular problem with iPhones being slow might be the battery, and the post was intensively commented and shared. Also the developer of Geekbench- popular software that measures your system’s power- analyzed the data from user’s performance testing their iPhones and the results confirmed that after the update that was meant to fix the existing shutdown problem processors actually slowed down. He even suggested that this slow down might get worse with the phone’s age. The company seems to be happy with how they fixed the problem and they say they will introduce it for next devices. On the one hand they admitted to slowing down our phones and on the other hand they seem to have a good reason to do it. They claim that they want customers to be able to use their phones longer instead of getting a new one instantly after it’s being released and that is why they try to extend their lifespan. A good solution could be replacing the old battery with a brand new one but it is costly if you do it at Apple and if you do it somewhere else you will loose you warranty and have to deal with next break downs on your own. I have the same issue with my phone and the battery is a disaster, at the moment I have to charge my phone 2 to 3 times a day, it is very slow and it doesn’t seem to be normal. Do you agree with what the company says? Or maybe you think that they should find another solution because this isn’t enough and you don’t want your device to be slower? On the other hand we have to consider that we want our phones to be as thin as possible, as light as they can and very handy. Maybe this is the price for that, we get a slim, pretty, light device but after some time the small battery can no longer be as great as it was at the beginning. What do you guys think about it? We can look differently to this situation. On one side, we have the customer who wants to have a phone that is fast, with a good battery and that can be used all the time, but on the other side if you had the hall performance of the phone but because of the low power of the battery it would shut down by itself, I am not sure that we would look at it the same way. Apple is doing it the have a good product experience I think with no bugs. They prefer to reduce the performance than to have a customer who says that his phone is always shutting down when he is doing something. In addition, The li-ion battery technology isn’t good enough to answer to all our needs, however, a few days ago, Apple lounched a new program for changing batteries for 29€ Instead of 89€ in many countries for iPhone 6, 6s and 7, and it changing the battery helps a lot when it comes to the performance and the autonomy of the phone, so it might be a solution.